Are you a dragon or a pegasus type? Nintendo is the king of quirky marketing, and this flowchart exemplifies all the things they get right. 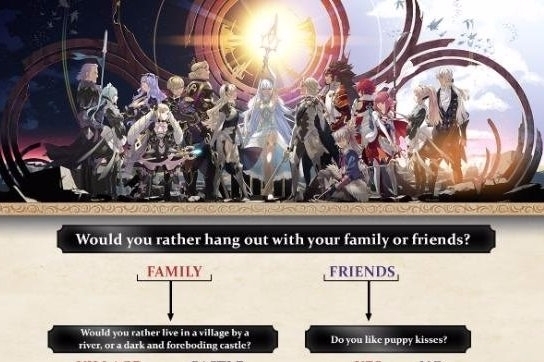 For those who just can't decide whether to start with Fire Emblem Fates Birthright or Fire Emblem Fates Conquest, this might the tipping point one way or the other. 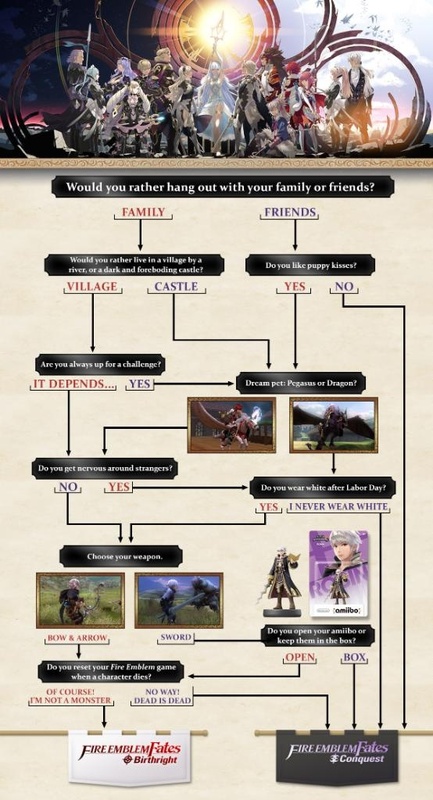 In all seriousness, Birthright is a much more friendly play with plenty of options to choose from in battle and is a fairly straightforward affair. Conquest is a lot more trickier, and will require more strategy and finesse. Both of them are great games though, and once you play one, you'll want to check out the other. You can get your choice of the Fire Emblem Fates in two days when they release!